Water flows through a series of retention ponds built to contain and filter out heavy metals and chemicals from the Gold King Mine spill in 2015, outside Silverton. The administration of President Donald Trump is dropping a proposal that would have forced mining companies to prove they have the financial wherewithal to clean up their pollution. BILLINGS, Mont. – President Donald Trump’s administration announced Friday that it won’t require mining companies to prove they have the financial wherewithal to clean up their pollution, despite an industry legacy of abandoned mines that have fouled waterways across the U.S. 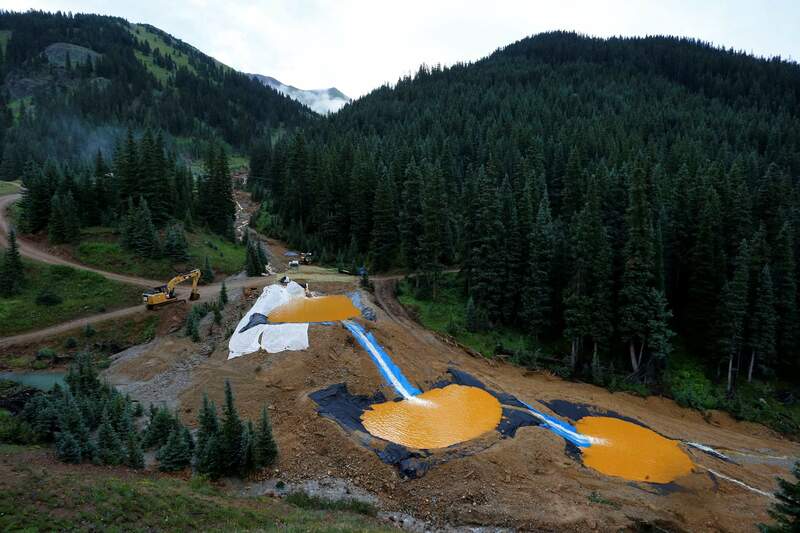 In 2015, an EPA cleanup team accidentally triggered a 3 million-gallon spill of contaminated water from Colorado’s inactive Gold King mine, tainting rivers in three states with heavy metals including arsenic and lead. The proposal applied to hard-rock mining, which includes precious metals, copper, iron, lead and other ores. Coal mines already were required to provide assurances that they’ll pay for cleanups under a 1977 federal law.